Enter the modern age of hearing aids. Long gone are the days of overlarge hearing aids that looked like 1980's headphones. Today's hearing solutions come in a multitude of styles and colors to ensure you not only hear well, but look good and feel good at the same time. Whatever your preferences, there's an option for you. Receiver units are mostly concealed by the ear and come in a wide array of colors and can be matched to the user's hair color or skin tone to further camouflage. 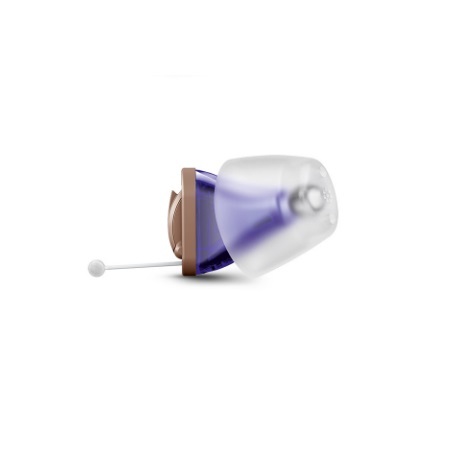 The discreet speakers sit undetectable in the inner ear. The future of hearing aids. Recent advances have paved the way for one-piece units that can be inserted within the ear canal for an entirely undetectable appearance. Trouble understanding conversation in big or noisy places like public events or restaurants? Click here for the latest Hearing-Related News! opened his own podiatry practice!